Today he is back home, back on his feet, and more active than he has been in months following the correct treatment of his symptoms by a different doctor. “What that doctor did was rob me of my hope for my father. I was crushed by his verdict and he turned out to be completely wrong,” she told me. How can we fight when we are told something is hopeless? When there is no point in hoping we must be resigned and accept. When Ido was around six a doctor we saw who specialized in autism said that over the next few years it would become obvious whether Ido would be able to improve or would spend his life as a “low functioning” autistic person. This was prior to him having any communication and his true potential was totally unknown to us. She was preparing us to accept the low remedial, low expectations prognosis she saw as inevitable at that point. I was thinking about these stories, and so many others, of professionals advising people to abandon what they saw as false hope, and then having their dire predictions turn out to be wrong. These professionals advised false deprivation of hope, in my opinion. 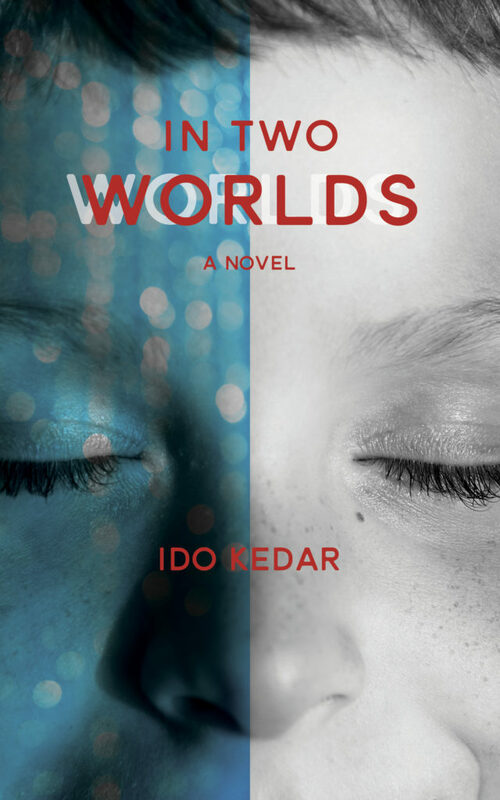 I have heard a few people suggest that Ido’s book may cause disappointment to parents whose children with autism may not learn to type as he does. Perhaps they believe that people with autism who have the potential to learn how to communicate their ideas are such rare exceptions that it is better if they keep silent and not give parents a chance to dream that their child too might have that capacity. Better to have low expectations, this reasoning goes, than to strive for more and have hopes dashed. Keep expectations low like this and you guarantee disappointment. Every autistic person I know who now can express his or her ideas through typing was once thought to be receptive language impaired and low functioning intellectually. No teacher would have looked at them as children and said, “That one will be a fluent eloquent communicator.” That is because their outside appearance belied their inner capacity. Every parent of these children gambled and decided to pursue letterboard and typing without any guarantee of success. Since Ido began typing a number of children we know personally also began to get instruction in use of letterboard and typing on an iPad or other assistive technology, either by Soma Mukhopadhyay at halo.org or in another method. And every single one of them has proven themselves able to communicate. Some are more proficient than others, but none had zero capacity. (This is different than rote drills of typing and copying done in many schools. This is specialized training in typing as a form of communication). How would it have been compassionate to these children and their parents to lower their hope to the point that they would not even try these methods? Shakespeare said. “Better to have loved and lost than never to have loved at all.” In this case I would change it to, “Better to have tried and not succeeded than never to have tried at all,” because success may very well be the result. 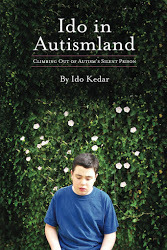 Ido describes his experience of autism as being trapped in his own body, with a mind that understands and a body that doesn’t obey. Every nonverbal autistic communicator that we know of has expressed the same thing. How many more are waiting to find a way to express their thoughts and receive an education? Diminished expectations helps no one. I do not believe hope in this case is false, but rather, the denial of hope through misunderstanding and low expectations is what is false. In friendship there is give and take, easy talk, shared interests, and socializing. I see the way my sister is with her friends. I can’t do what they do. I’m not referring to girl stuff. I mean the social stuff they do. ; talking on the phone, sports, texting, meeting at each other’s homes, malls, and all the rest. How is an autistic person who is not verbal, limited in initiation, independence, and the rest, going to do that? We have an isolating illness. It stops us from doing the normal social things and it makes people want to avoid us too because we are so different and so hard to engage. I have a few suggestions for how to be a friend to an autistic person. -Don’t patronize, even if the person seems “low-functioning”. Who knows what is trapped inside? -Stay friendly and say “hi” even if the autistic person is not animated in expression or doesn’t say “hi” first. -Try to imagine what non-verbal messages the person is communicating in behavior. -Help them stop if they get too stimmy. -Connect in the ways you can. I see some people are able to reach through the barrier with autistic people. They are energetic, friendly, not putting up with aggressive or bad behavior, positive and calm. The worst traits for an autistic person to be around are the opposite; lazy, grumpy, weak and afraid to set limits, negative and tense. I mean, who likes being with negative, grumpy people? But in autism we get so affected by the moods of others. I think friendship is different in autism. I am friends with people without socializing in the normal way, but I hope one day my skills will improve. So very nervous inside all the time. That’s what Temple Grandin says. That’s the way it is for the majority of autistic people. Really, I overflow hoping I can control the stress I feel. The stress is so vicious inside. Even with communication and better skills I still suffer from it. You see it in so many autistic people. They bolt or dash out. They stim because it soothes them. I see kids who bite and hit themselves, who scream- not to get anything- but to have an outlet, who have meltdowns. These are the reasons why- severe nervousness, stress, internal overflow. You can imagine how rough this is for people who can’t communicate their ideas and feelings. They get told, “hands down” or “no”, or people think they are not really aware of their emotions. Well, it is a bit different. It is sort of like a car rolling down a hill. It gains acceleration as it rolls. Think of that in an emotional sense. You know what happened? He relaxed. That’s what happened. Then he leaned on my mom to communicate his gratitude because he had no other way to express himself. This was important for me. Sort of a reminder that being treated with respect and kind empathy helps reduce anxiety, even in a kid everyone labels as “low-functioning”.